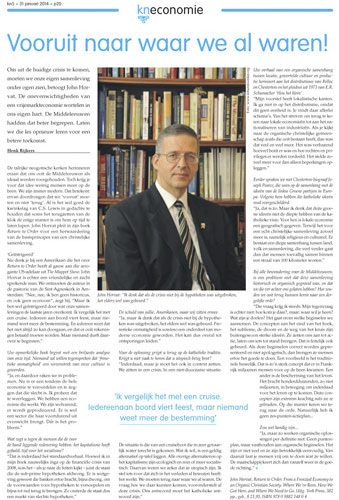 In the January 31 issue of the Dutch Catholic paper, Katholiek Nieuwsblad, staff writer Henk Rijkers interviews author John Horvat II about his book, Return to Order: From a Frenzied Economy to an Organic Christian Society. The Dutch-language interview was given during a successful book signing tour in Belgium and Holland last December. The one-page article highlights how the principles of the award-winning book are applicable to those beyond America. 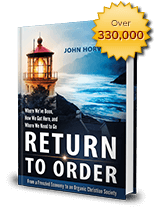 This entry was posted in Featured and tagged book signing, Christian civilization, Praise for Return to Order, Return to Order by John Horvat II. Bookmark the permalink.